FCA notes its upcoming policy having consulted the market on Asset Management and market competition. The recent Final Report on the Asset Management Market Study revealed clear evidence of weak price competition in numerous areas of the asset management sector, concerning directly or indirectly millions of people. To improve competition and promote innovation on the market, both demand side and supply side problems in the asset management industry need to be addressed. Thus, the FCA have set out their final rules which aim to tackle these problems by giving guidance on improving fund governance for authorised funds, and indeed outcomes for investors by moving them to better share classes and ensuring fairer allocation of dealing profits. One of the main problems is the level of asymmetric information, to be more precise, there is a crucial necessity for funds to be more specific in the objectives, making it easier for investors to make the right choice. These kinds of measures hope to improve the quality, comparability and robustness of the information available to investors. On the same level, the FCA has proposed measures which aim to improve transparency – another key issue in cases when funds have limits in how far their holdings can differ from a particular benchmark or index. A new non-Handbook guidance to remind the authorities fund managers (AFMs) how they should describe fund objectives and investments policies to make them more useful to investors. To require AFMs to explain why their funds use benchmarks or, if they do not use a benchmark, how investors should assess the performance of a fund requiring AFMs that use benchmarks to reference them consistently across the fund’s documents. To require AFMs that present a fund’s past performance to do so against each benchmark used as a constraint on portfolio construction or as a performance target. To make sure a performance fee is specified in the prospectus, it must be calculated based on the scheme’s performance after the deduction of all other fees. The rules above are relevant to the UK AFMs; other firms in the investment management industry (Portfolio manager, depositaries of authorised funds, financial advisers, consumers); and the unit linked and with profits business. Another objective of the FCA is to improve the clarity and usefulness of fund objectives for consumers. In order to maximise the return and diversify their possibilities of investment, the FCA describes what a fund can invest in and any limitations on fund investments. The quality of data is important when it comes to investing in funds. Thus, fund managers have the responsibility to explain what their funds are doing in consumer-friendly language. After a recent report, it emerged that objectives are not always as clear and helpful to consumers as they could be. However, the rules on objectives and the disclosure of objectives are adequate and do not need to be changed. Instead, a non-Handbook guidance will set out the FCA’s expectations of how firms might comply with the existing requirements on fund objectives in practice. 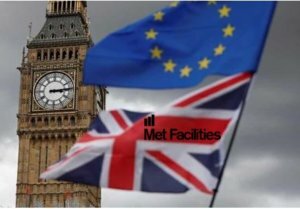 One of the principal issues is the Brexit, because the Packaged Retail Investment and Insurance Products (PRIIPs) and the Undertakings for collective investment in transferable securities (UCITS) are documents set out in maximum-harmonising legislation for Europe. Whilst the UK remains a member of the EU, the FCA are unable to make rules which would require a fund manager to provide additional information based on those form and content. The FCA points out the fact that the new guidance will not increase significantly the costs for the company but allow them to improve their abilities to explain reasonably their objectives to the consumer. Equally, fund managers should disclose in key information documents the features of the investment strategy that are a fundamental feature of how the product is managed. They also have the obligations to make clear the flexible nature of their investment strategy when needed. Even if it is true that having objectives that specific enough for investors and flexible enough for fund managers to adjust investments in response to, or in anticipation of, changing market conditions could result of tensions, the recommendations here will be to manage this tension in a way that is in the interests of consumers. The new guidance expects non-financial objectives to be fair, clear and not misleading. There is no difference with the exigence for financial objectives and the non-financial one. When a fund manager doesn’t explicitly manage a portfolio in line with a benchmark, there may still be cases where other factors, such as internal restrictions or the remuneration policy, mean that the fund is effectively managed with reference to a benchmark. We have provided non-Handbook guidance for when other factors affect the way a fund is run. 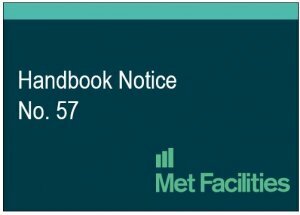 The final non-Handbook guidance is at Appendix 2. It is, however, possible to have funds not managed with reference to a benchmark or no available benchmark that corresponds with the way a fund is run. This case not exclude the responsibility of the fund managers to explain how else to assess their fund’s performance and explain what a fund does, how it does it and how to evaluate how well it is doing. To be clear, the objective is not to encourage the use of benchmarks but to permit the investors to get improved information on why they have chosen a particular benchmark or not. Sometimes to justify their performance, the managers used the past performance against different benchmarks across a fund’s consumer documents. In this case the FCA proposed that whenever the fund manager presents the fund’s past performance, it should do so against each benchmark used as a constraint on portfolio construction or as a performance target. The UCITS KII Regulation requires firms to disclose benchmarks where used and display performance against such benchmarks. Funds’ constraints or performance target benchmarks should appear in the Objectives and Investment Policy section of the KIID. The FCA rules on this area remarked that if a fund manager chooses to show past performance against one or more such benchmarks, they must do so consistently across a fund’s documentation. For funds with more than one benchmark, the fund managers have to show the past performance against all those benchmarks. Given that it is important for consumers to have all the information they need for make decisions, this implies consistent disclosure of the use of benchmarks across all relevant communications. 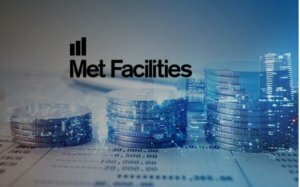 Another important issue is related to performance fees which the FCA holds must be calculated based on fund’s performance after all the charges have been deducted. Concerning the implementation period of these rules, firms may rely on the guidance from the date of publication. The FCA guidance reflects high expectations on how to satisfy the exisiting requirements. On the benchmark proposals, it now appears likely that the transitional period for the period for use the UCITS KISS under the PRIIPs Regulation will be extended until the end of 2021. Therefore, the 3 and 6-month implementation periods for the benchmark proposals is maintained, leaving time for the fund managers to update their fund documentation.